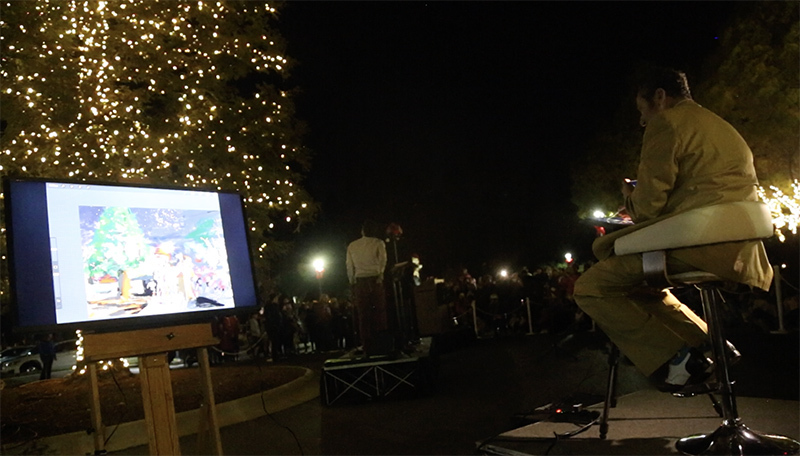 I just wanted to thank you again for performing at our tree lighting event last night. You were a wonderful addition. 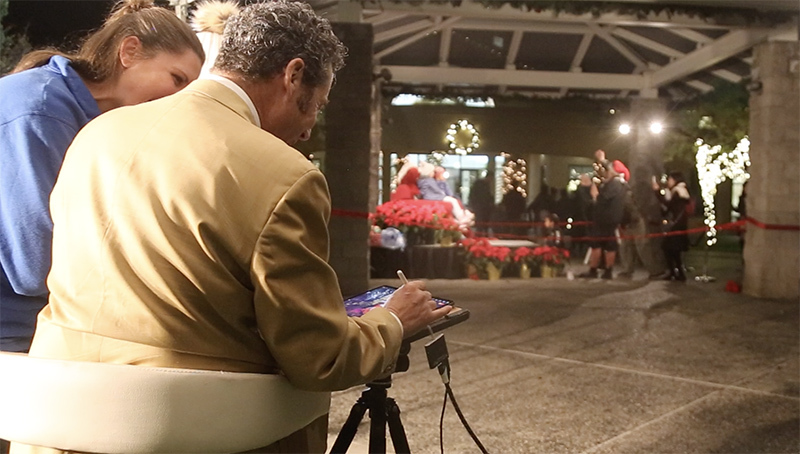 I painted the City of Cupertino Holiday Tree Lighting at the Quinlan Community Center on Friday, November 30th, 2018. 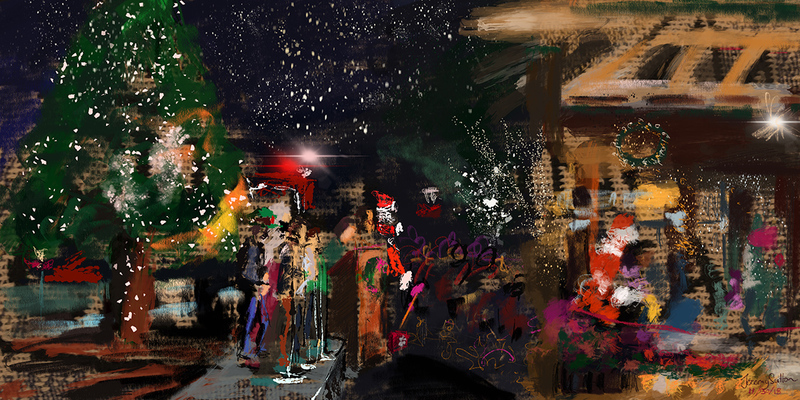 You’ll see from the video that the painting tells the story of the evening, starting in front of the community center with the Business Casual a cappella group, speeches by city and community dignitaries, then Santa being delivered by a fire engine, Santa pulling the lever to light the tree and finally, on the back patio area of the community center, Santa posing with kids for photos (while the Lawson Choir from Lawson Middle School sang in the background). The digital tools I used were the new 2018 iPad Pro 12.9, Apple Pencil 2 and Procreate 4 app.